This post is part of the series in Book Recommendations by Age and Month of the Year. It has February book recommendations for children who are 5 years old. Each book is paired up with additional resources that you can use to extend the story further. My daughter is now 8 years old and a very fluent reader. Very often I hear the same question, What did you do with her when she was little? Well, we read a lot, and I maintained a diary of our reading activities in weekly What My Child Is Reading entries in my blog. I decided to make these reading diaries more useful and create a new series on my blog where I will share our best books for each month for ages 3, 4, 5, and 6. 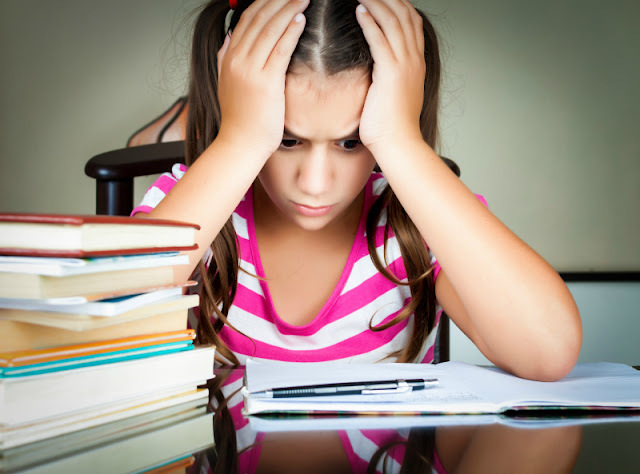 Moreover, I will pair each book with an extension activity – sometimes with ours and sometimes with activities from my creative friends from Kid Blogger Network. In this post I am featuring books that we read when Smarty was 5 years old. Disclosure: I am an Amazon associate and this post contains affiliate links. For full disclosure, please click here and thank you for supporting my blog! The Day It Rained Hearts by Felicia Lin will appeal to creative children who enjoy a touch of magic in their books. The book starts with a magical downpour but then unfolds into a creative activity when Cornelia makes special and different Valentines for her friends. Most young children will have an easier time “customizing” Valentines for their friends if they already work off some sort of template and have some special tools to keep them engaged. I like this idea of custom stamped Valentines from Mama Smiles: Joyful Parenting. We had the pleasure of meeting Oliver Chin during an author event in the library a few years ago and made a point to read his new books in Tales from the Chinese Zodiac every year. Oliver Chin creates characters that embody “qualities” of the year and weaves a fun story about humans and animals working together. I admit that I was a big fan of Jennifer Wood illustrations in prior titles (In 2012 we read The Year of the Dragon), but it was interesting to compare and contrast Alina Chau’s illustrations with Jennifer Wood’s work and see how they are the same and how they are different. I’ve seen many amazing crafts for a Year of the Sheep and for Chinese New Year, but this “edible Chinese lanterns” from Danya Banya caught my eye as something very unique. If your children go to school in the Northern Hemisphere, they are probably celebrating 100th day of school sometime in February. Counting Our Way to the 100th Day! by Betsy Franco is a great “living math” book to read in the days leading to this holiday. The book has 100 short poems of different styles – all celebrating number 100. They are perfectly complemented by cheerful illustrations of Steven Salermo. Last year many kid bloggers joined together to celebrate 100th day of school, and number 100, and I wrote a post about 100 ways to have fun with math at home. 4. How Are You Peeling? How Are You Peeling? by Saxton Freymann and Joost Elffers is a book with very few lines of text – it’s appeal is in illustrations. They are photos of real fruits and vegetables – who knew that they could be so amazingly impressive in their “facial expressions”. I bet many kids might want to try their own funny faces or make fruit sculptures like the one from B-Inspired Mama. At 5, my kindergartener was very interested in the human body and loved non-fiction books. We read First Encyclopedia of the Human Body together and did a lot of additional online research into the topics of her interest. In general, Usborne First Encyclopedia books are great for budding scientists, and they always have beautiful illustrations. Since February is a “red month”, I picked a great visual What is Blood Made of? project from I Can Teach My Child to pair up with this book. We discovered 10 Miutes Bedtime Stories series by accident, but I really appreciated the fact that they are taking complex and long stories like The Arabian Nights and break them into manageable and age-appropriate short stories. Graham Percy masterfully brought them to life, and Smarty enjoyed reading these stories with me even though she found some of Sindbad stories “scary”. Strangely, she never feels that way about Greek myths! You can make your own Persian city from the Arabian Nights with these free printable Alladin paper city from Made By Joel. Do you read longer stories to your 5 year olds? What kind of stories? 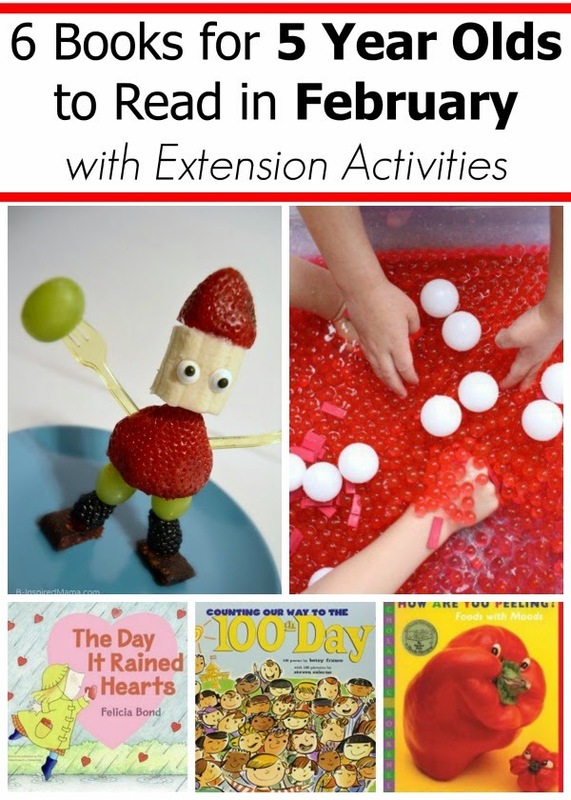 This is such a great list of books and extension activities. Those fruit sculptures are awesome! Thank you for featuring our stamped valentines! Those paper cities always amuse me.